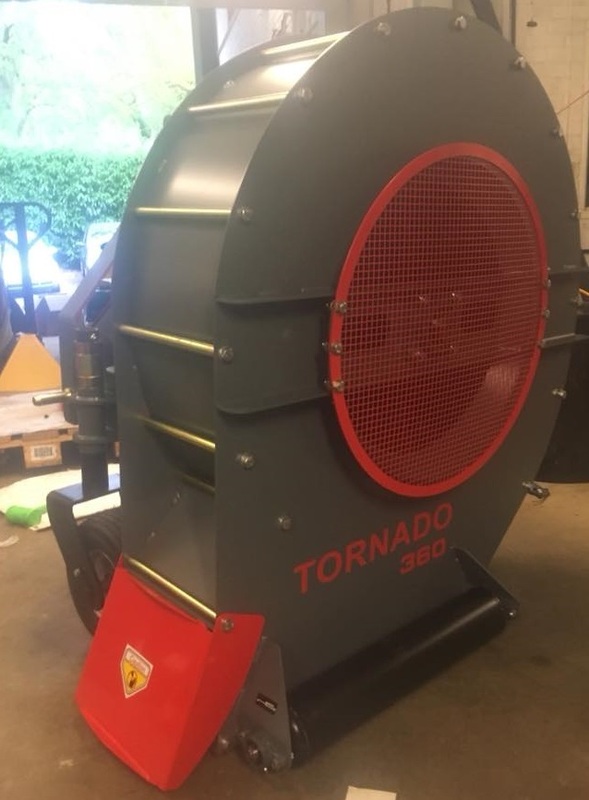 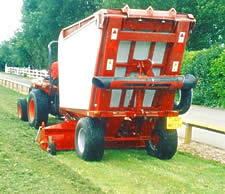 Close up of the TM5's scarifying head. 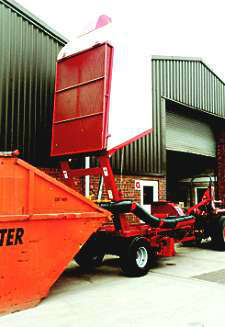 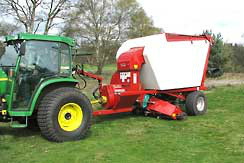 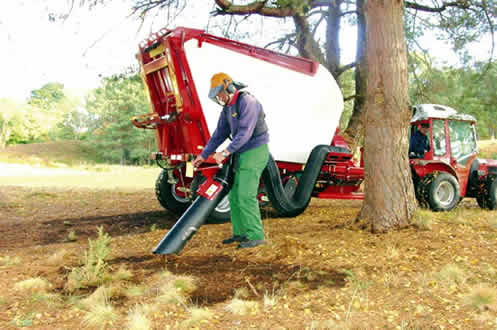 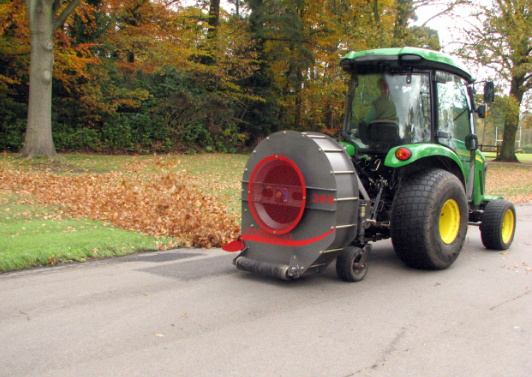 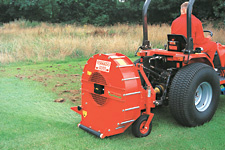 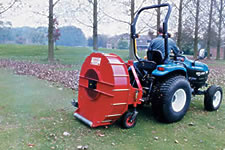 This unit can be replaced by a rotating brush when the machine is to be used for collecting leaves and other debris. 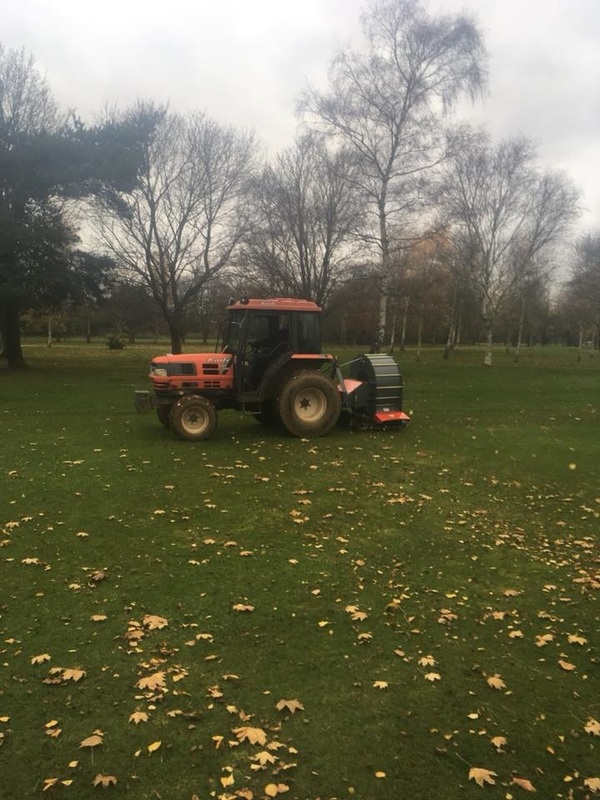 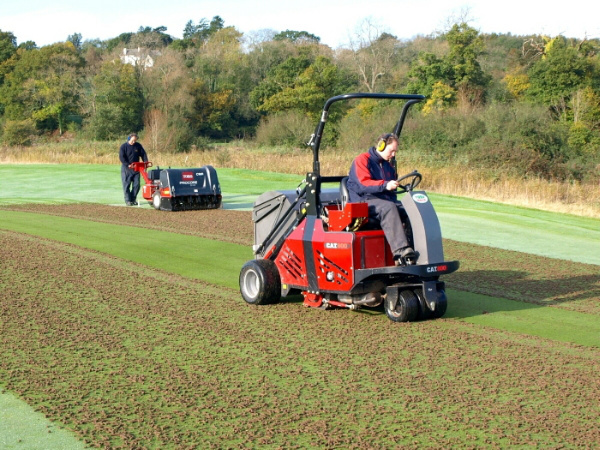 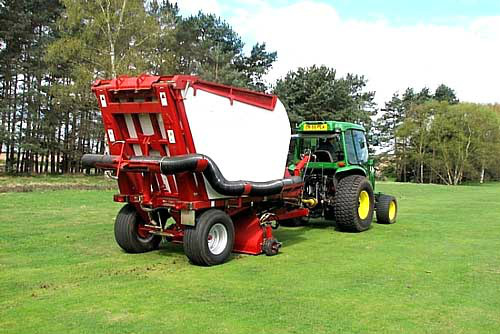 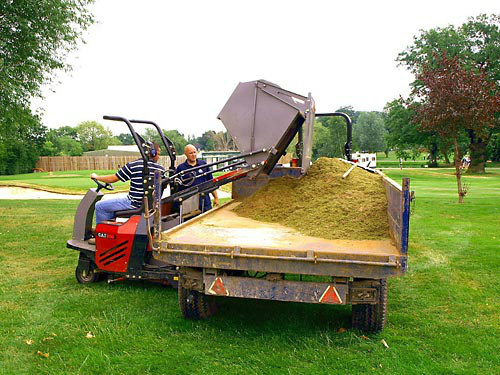 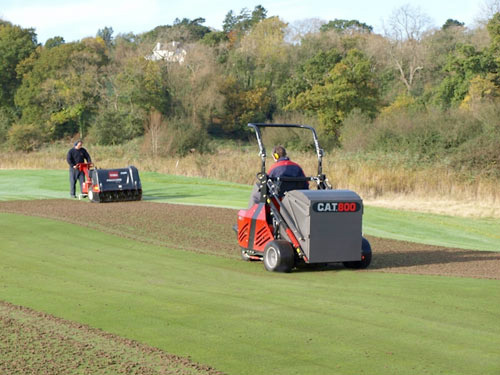 “Mechanising autumn leaf collection has reduced the demands on the greenkeeping staff, enabling us to keep on top of other important course work at a busy time of the year. 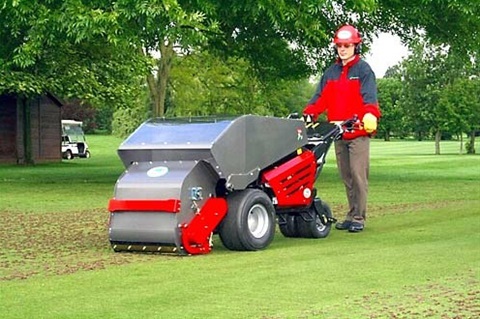 I like the machines. 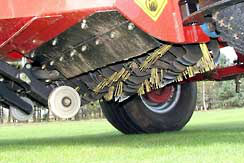 They do a good job and are not obtrusive. 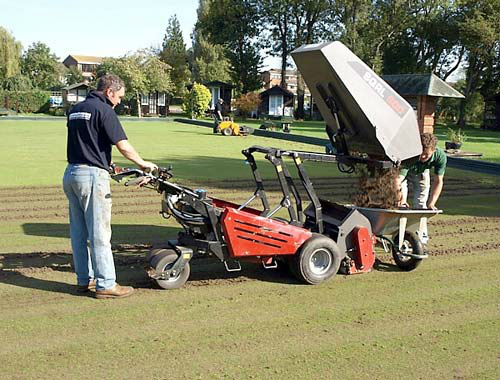 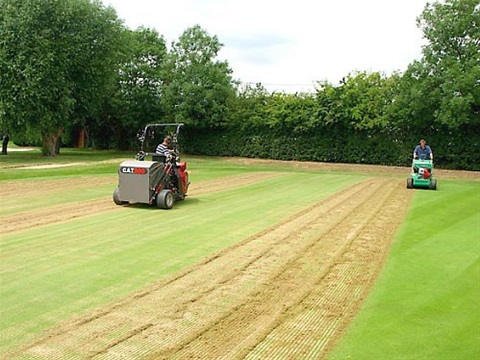 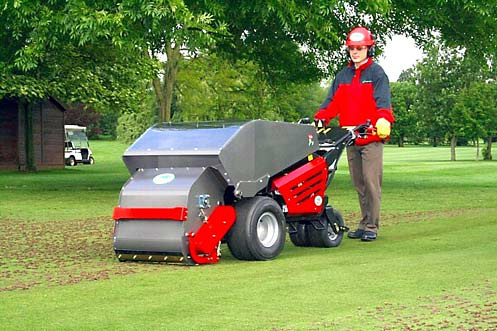 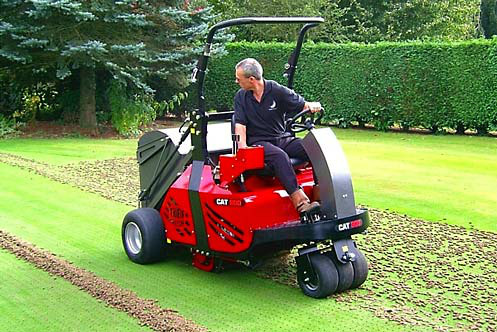 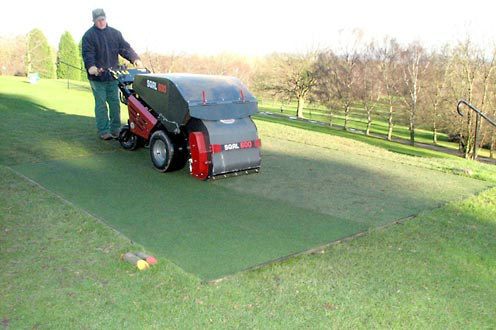 Extending the SQRL’s primary function of collecting and removing hollow cores, scarified material and other debris from fine turf is the ability to pick up soil and vegetation from synthetic golf and practice tees to leave a clean and neatly groomed surface.